High Court Sheriff enforcers have been hired to seize goods to the value of £1,765,287,432,177.59 after creditors lost faith in the UK's ability to service the national debt. 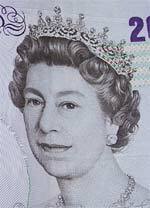 Officials have just 24 hours to pay at least £800 billion by chip-and-pin and agree a repayment plan or the enforcers will start to seize goods - likely to include the Bank of England, Buckingham Palace, all UK registered cars, most public toilets and some private dwellings. Quantitative Easing or QE4 may be brought forward in order to meet the demand although enforcers have offered a 10% discount if the warrant can be settled in 'used' notes.